There are too many Phoenix novels around so I tend to mix them up. This looks good. This is a firm favourite with many visitors to the book bar, be it the novel or the manhua. I didn’t read the book but I did check out the manhua which is very well-drawn. This may be one of the reason why this book is so popular. It will be even better if they are all coloured. Sadly, I read that after Volume 2, it will not be continued because the publisher has gone out of business. Hopefully, another publisher will take over and continue such good work. Book 1 of the manhua had been released. The drawings are rather good and with color as well. This novel is very popular but I’ve not read it as I am afraid of blood, lol. 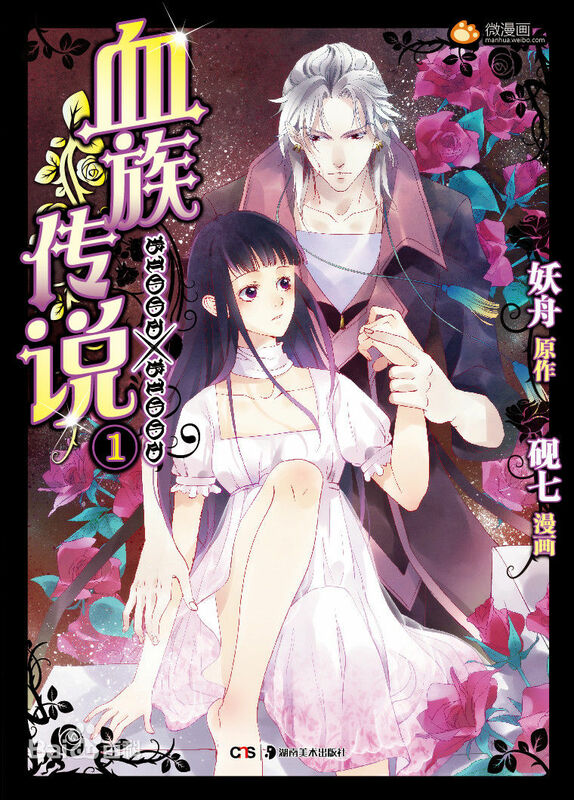 For those who like Twilight, vampire or dracula, this manhua should be your cup of tea. This novel is rather similar to Hua Qian Gu so in comparison, I find this too kiddy. After I read the synopsis, I feel like this is my kind of book. But Lidge told me the book is addictive and has about 1,800 chapters. 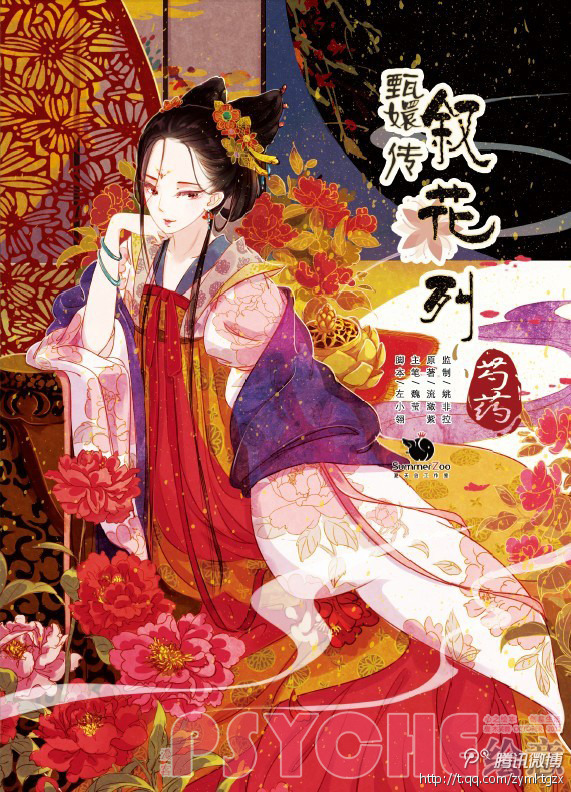 I am allergic to long novels:( The manhua is quite good-looking and colourful but a bit cartoonish. If you plan to follow this manhua, you’ve a long road ahead of you as only 7 chapters have been released. Of course, the infamous step-mother of C-novel will have at least one of her novel adapted into manhua. This has recently been published in August in a magazine called ” 天漫·赤风” so it is not a manhua booklet. The drawings are pretty good but kind of childish and most of them have no color. I like the one with colors, haha. 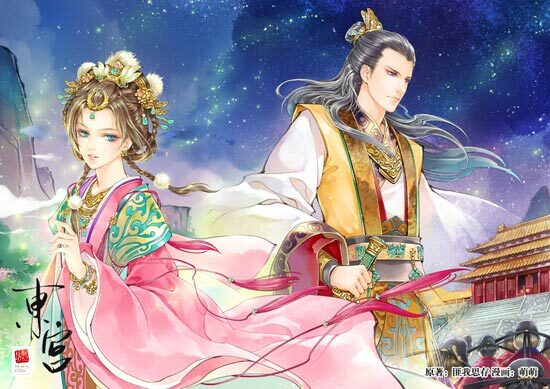 The manhua is very pretty and colouful, a lot more professional looking than Bu Bu Jing Xin manhua. I read that it has even won an award in China. It is published monthly as part of a magazine called ‘Psyche’. I can’t find a nicely scanned copy of it online so you’ve to make do with the one in baidu and search for the remainder there. Instead, I found a very adorable copy of the Q version of the manhua which is incomplete and on hiatus. 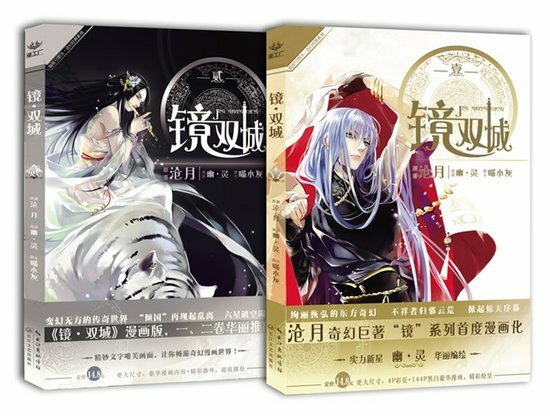 The 2 set of manhua are available for sale in Chinese. An all time favorite novel in the English speaking world. The drawings look impressive. The preliminary pictures released look quite good. It will look even better if the final product has colour. The author Fresh Guo Guo approves of this and the publisher said they’ll strife hard to bring the best Xian xia manhua to us. The drawings look pretty good and nice but unfortunately I don’t like the novel as it is kind of weird with so many foreign characters. Why so many of Vivibear’s novels have manhua? Indeed the drawings look very good with color but I don’t like her novels. Cang Yue is a rather popular novelist who specialises in writing wuxia novel with a touch of fantasy. I’ve never read any of her book but Sherry, our loyal reader is a fan. I took a peek at the manhua which I feel is very well-drawn. I think it was drawn by the same person who drew Grave Robbery Note. There is no online version so you’ve to buy the book. I don’t have the patient to read such a long novel but I find the drawings too childish. I don’t really like the drawings. The guys look kind of dull, not refined looking. 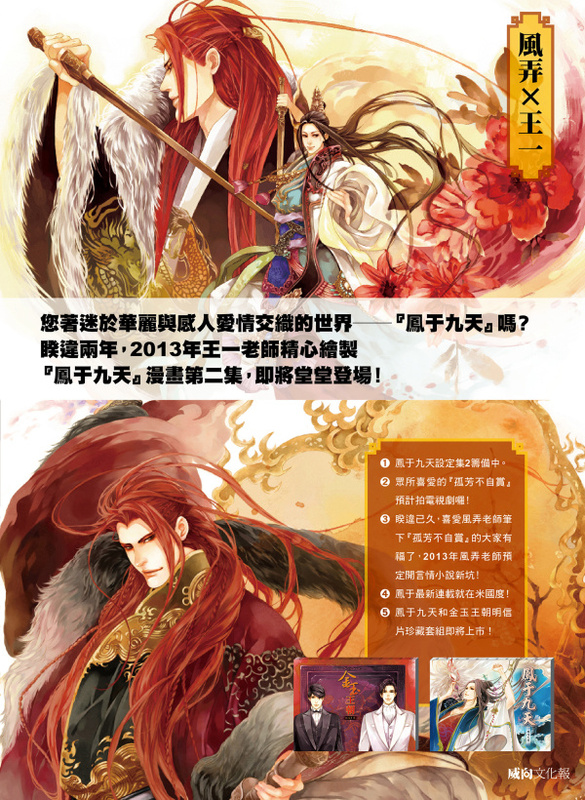 Wah, nearly every popular drama also got manhua. Due to xiaoyuer’s strong dislike for this book, I didn’t bother to check it out or post it on the book bar which have a few of Meng San Sheng’s other novels. Is Cao Cao the leading male? 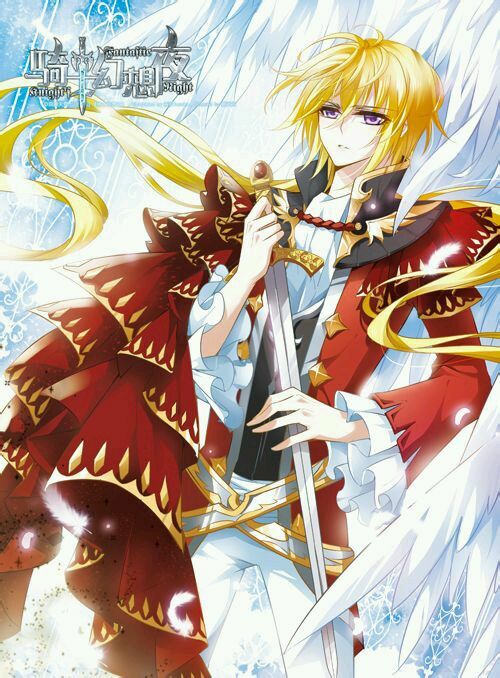 I find the male lead in the manhua very attractive. 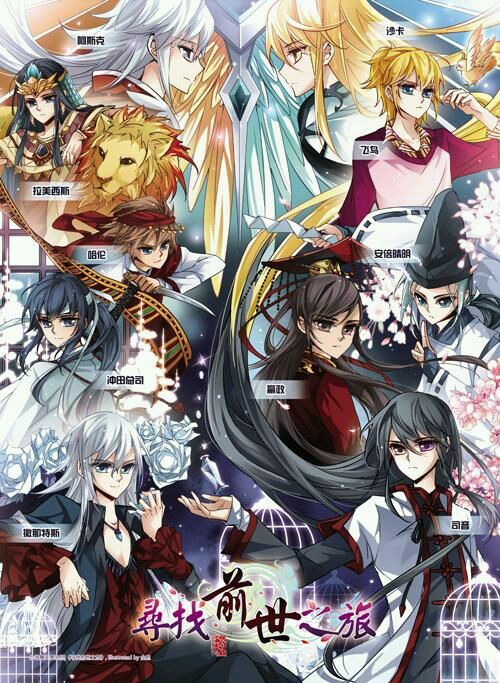 The manhua looks very nice, something like Gu Fang Bu Zi Shang. I think this manhua is also part of a magazine and has been on hiatus for a while. The last update is chapter 22. Another Tong Hua’s novel with manhua. 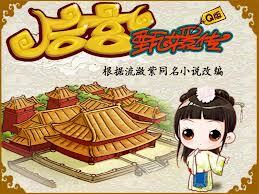 This one looks better than Bu Bu Jing Xin but I still find it too cartoonish for such a tragic novel. Nowadays so many ancient novels are being adapted as drama as well as manhua. This one looks pretty good with color. The girl is cute but the guy looks kind of flat, not much expression. The novel is okay since I can still remember the plot after so many years. Don’t get misled by the cute pictures above. It is not part of the manhua but it is the Q drawings, I found online. I used it because I don’t like the manhua. I don’t think they look good at all. I can find cuter and better ones drawn by fans online. The only nice thing I’ll write is they are nicely colored. If you don’t believe my taste, check out for yourself. So far, 2 chapters have been released. The novel is pretty good and the manhua also looks pretty good. This is a ‘boy love (BL)’ novel which is not my cup of tea. I am mentioning it because it has the same author as Gu Fang Bu Zi Shang. I did take a peep at the manhua, a bit too graphic for my prudish nature, haha…Yah, I don’t read Japanese manga so I got quite a shock. I think only Vol 1 or 2 have been released. If you need more information, you can ask sookybabi. Not surprising that there is a manhua for this popular novel. Very cartoonish. Not bad looking, but could be better. This is another completed manhua by the same author as Summer of Bubbles. I think she might have a few more based on her novels such as Afternoon Lavendar, etc. Since, I don’t like her novels which come across as one-dimensional and weird, I will leave them to those who like her style. The drawings are quite nice and there is even an anime version. This president text even has a manhua translated into English now. The drawings are pretty nice but all the leads in the president text manhua look kind of the same like the plots. Part 1 of the manhua has just been released but unfortunately I can’t find a clearer copy in baidu:( Nonetheless they are still very nicely and cutely drawn so do take a look. Feng Teng is so handsome and Shan Shan is so adorable. They look just like how I imagine them. I am trying to buy an original copy so that I can scan, translate and post them so wish me luck. 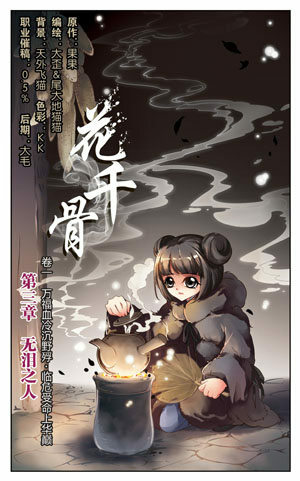 This is a little-known novel but the manhua is rather cute, just like the book. I like it being so colourful but the drawings are not as refined as the ancient manhua. I feel it is suitable for the young ones especially those in college. Chapter 19 is the latest chapter which has been released and the manhua has not been updated for some time. Oh so handsome lol. Novel purists don’t like the manhua, although they are ogling the drawings of the guys. This is a very famous adventure and mystery novel. Only 5 volumes have been released which is a lot already. I plan to read the novel, plus look at the manhua when I am having a long holidays. I am not sure if there is any English translated manhua as this book has an official English translated version. 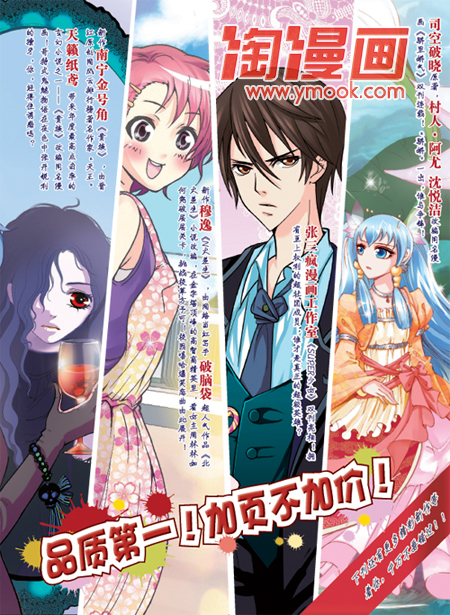 Wah, another Ding Mo’s novel has manhua. Oh so handome & pretty, I like the drawings. I don’t like the storyline of this novel but I did take a look at the manhua. It is rather beautiful, kind of like the Japanese manga with pretty girls and handsome guys. The manhua is finished so you won’t be left at the edge of the cliff. This is very popular and the drawings are pretty nice but the plot is so draggy. Nearly all of Ming Xiao Xi’s novels have manhua. I am sure most of you have heard of this book since the movies have been released which will be followed with a drama. The manhua is quite nice but not coloured. Because Guo Jing Ming is a very enterprising author, you will never be able to find all the manhua online, so you need to buy them. Wah, so many dog blood President/CEO novels have manhua. When I’ve time I’ll include most of them here. I don’t like the male lead’s hair color but I think it was changed later as per the anime. The anime with English subs which I think is derived from the manhua is pretty good looking. Don’t think he looks like Wallace Huo, the drawing not handsome enough. Very cute and adorable manhua with color. Most of the youth novels have manhua. Only the preliminary draft has been released on HQG so I didn’t pay any attention to BZH. I don’t want to comment yet till I see the final product. I think I only notice Tang Bao & she is very cute, lol. Come and Eat, Shan Shan looks so cute! Particularly the boss ❤ Will you please make an announcement when the manhua is released? It's a pity that manhua are not as popular as manga yet :(( Somehow there are not many manhua being translated in English. I also don’t like FWSC. Not only for the sad ending but I also don’t like her style but Eastern Palace is an exception. Don’t worry, my blog has everything on Shan Shan lol. Phong & I are also eagerly waiting for the release of the manhua which is scheduled in March 2014. Hello! 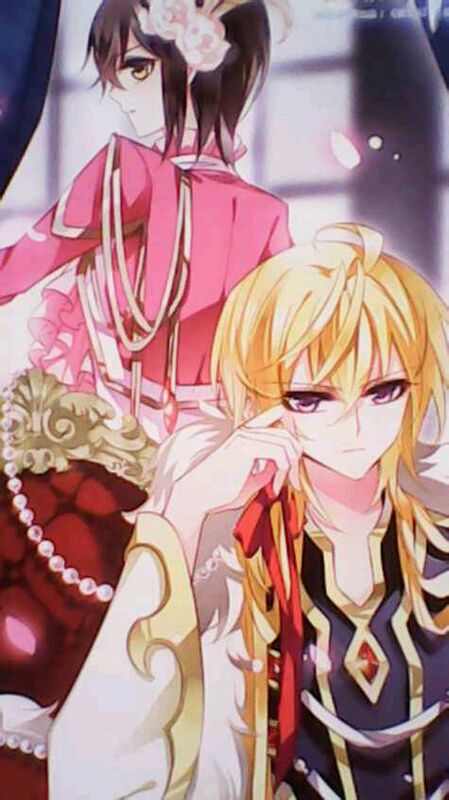 where can I find the manhua for Eastern Palace? 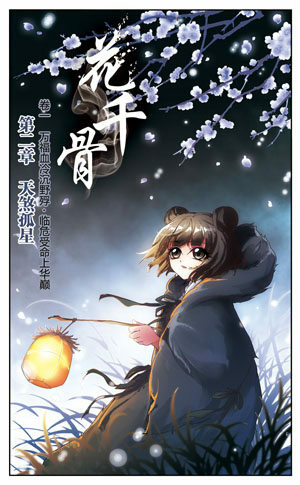 i really want to know more about vivibear’s manga and i just finished reading qishi huanxiang ye just now . its pretty cool and awesome. but i cant seem to find ‘journey to seek past reincarnations’ ? No English translation. A word of warning on accusation against the author vivibear. Hi, do you know if the manhwa for jouney of the flower is completed? If so, do you know where I can buy them? I wonder whether Hongkong kungfu manhua such as Tony Wong’s works popular in Mainland? Hi! Do you know where I can buy Shan Shan and Just One Smile is Very Alluring manua? Thank you! You’ve to get someone who lives in China to get them for you. Cant wait for Come & Eat Shan shan manhua 😆. I like the drawing. Is there anyone know who the artist is?